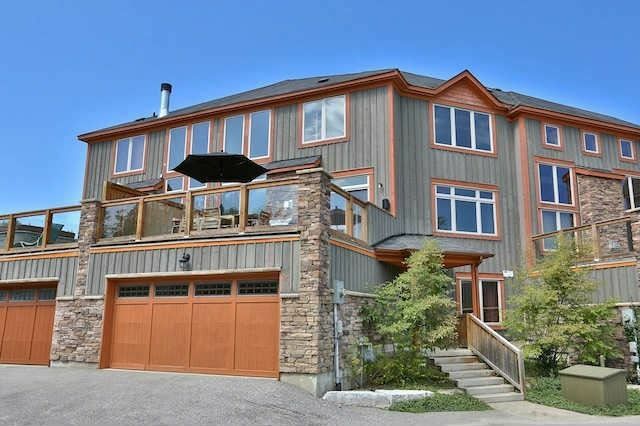 A Stunning 4 Seasons Chalet Located W/In Minutes Of Craigleith & Alpine Ski Clubs! This Highly Sought After Development Is In A Prime Location, 500 Metres From The Base Of Ski Hills. The Chalet Is Exquisite; Attention To Detail Is Evident With None Other Than The Finest Of Finishes. Sun-Filled Open Concept Home Features 4 Br, 4 Bath, A Modern Open Concept Kitchen W/Breakfast Bar, Ss Appliances & 60 Bottle Wine Fridge.